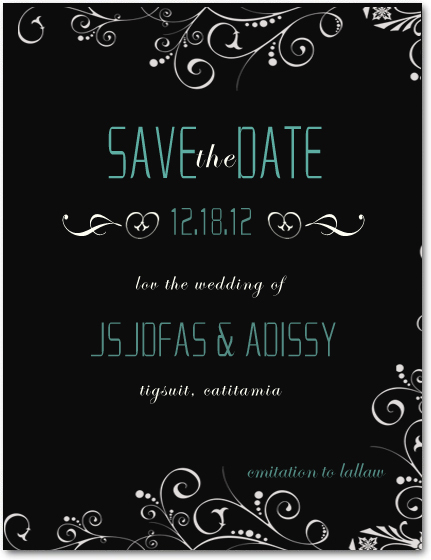 Black background, white letters and decorative, contrast colors,the trend of 2013. 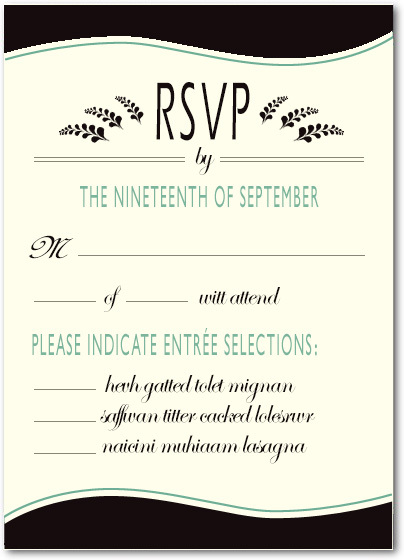 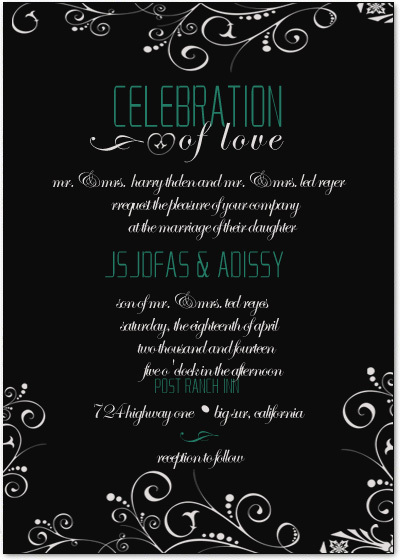 The price include RSVP cards & both Printed Envelops. 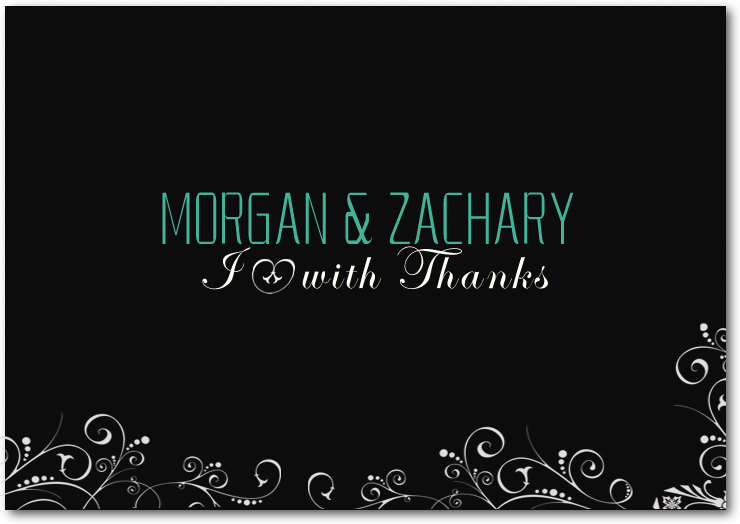 Free Customization Options: Font Styles, Background Color, Select Any Text Color, Design Color.